To begin with, Gum Alive Toothpaste is a brand from Thailand which is a family-owned company that's been in the toothpaste business for decades. The small 20g tube cost P140, while the bigger 100g tube is around P400. A bit expensive compared to our usual toothpaste brands but there's really a huge difference. Gum Alive is marketed as a Mouth Spa Toothpaste. A what? I excitedly tried the toothpaste as soon as I arrived home after being introduced to Gum Alive and liked it. My mouth felt clean without that cloying mint flavor and stayed fresh and clean until after I had my meal that night. I also brought with me a small tube when my family went to Baguio at the onset of summer. But the real test was when I went on a trip to Ho Chi Minh last May. I opted to bring a tube of Gum Alive's Fresh Breath variant. Visiting Ho Chi Minh is not complete without feasting on street food. 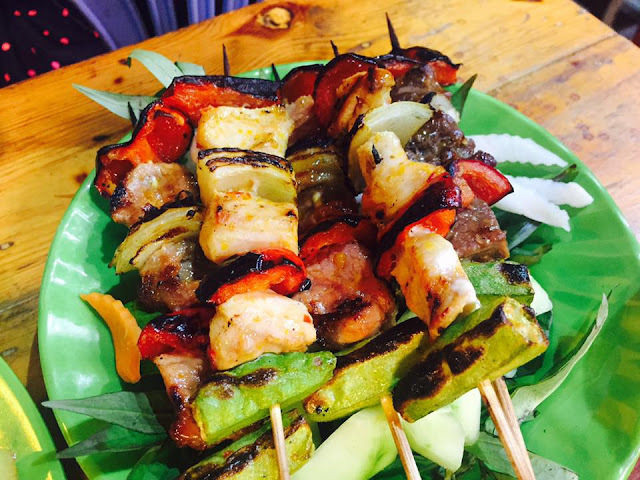 Aside from being cheap, Ho Chi Minh's street food is very flavorful with lots of herbs, spices, and vegetables. 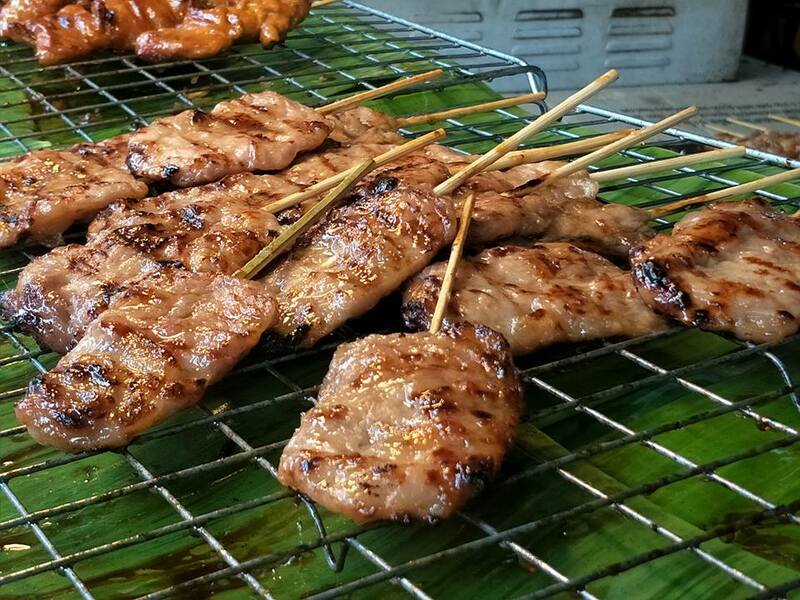 The myriad of flavors including those from the meat or seafood makes one's breath and mouth feels burdened. 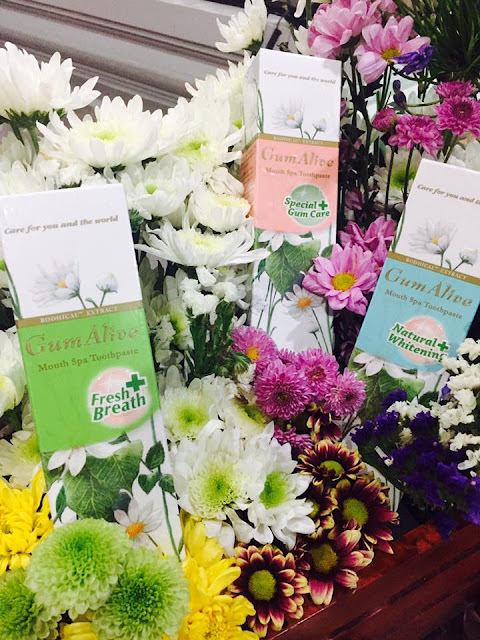 Using Gum Alive's Fresh Breath Toothpaste made my mouth felt clean as soon as I finished brushing my teeth. And what I also like is the fact that after my regular 8 hour sleep, my mouth still felt clean and fresh unlike when I was still using a different brand of toothpaste. I switched back to our usual brand after that trip and to my surprise, I prefer Gum Alive toothpaste and I miss using it because it made my mouth feel clean until after the next meal. 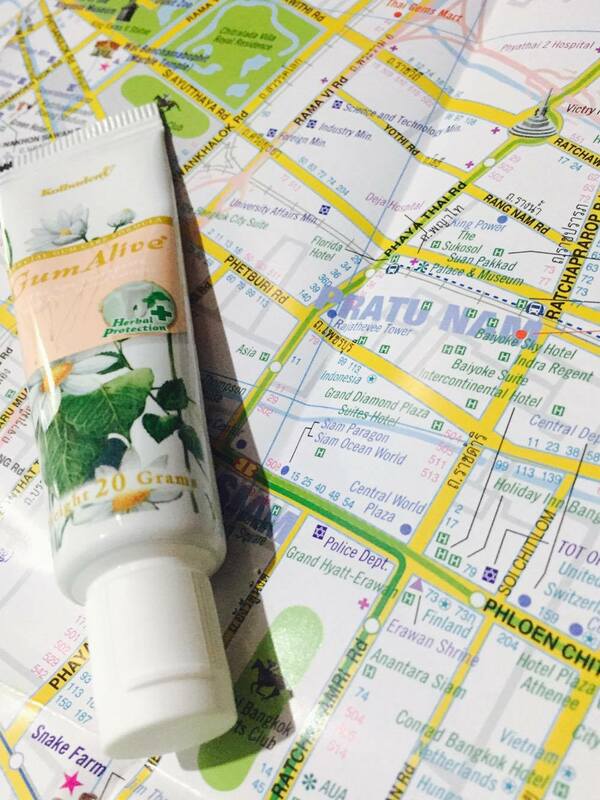 So when I went on a trip again, this time to Bangkok (remember that Gum Alive is a Thai brand? 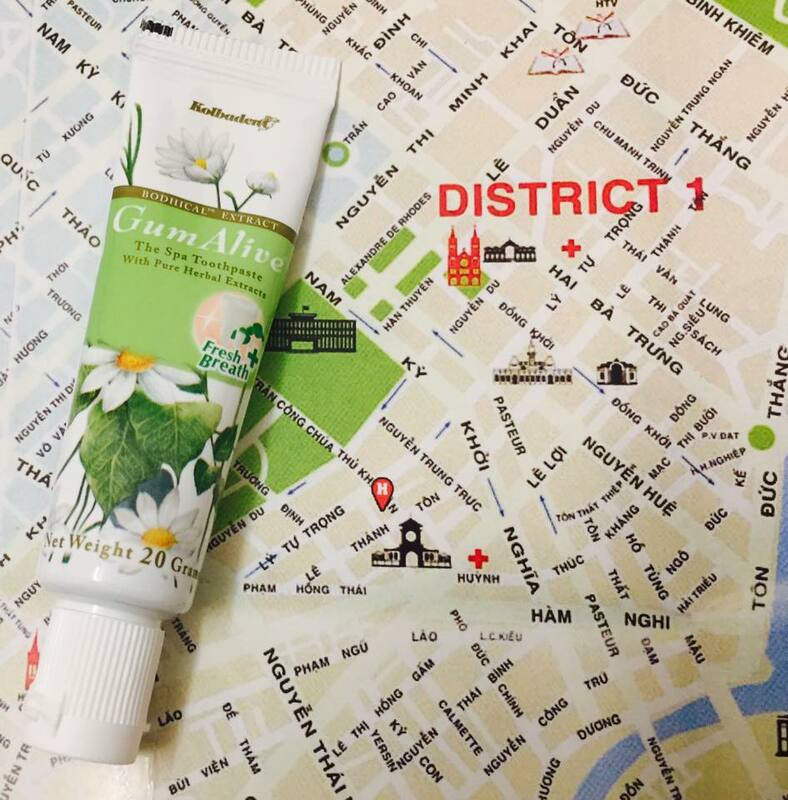 ), I didn't hesitate to bring with me another tube, this time Gum Alive Herbal Protection variant. Like the Fresh Breath variant, it also made my mouth feels fresh after using it. Although the Fresh Breath has a mintier taste, the Herbal Protection variant is also a worthy mouth spa. I didn't feel scared of opening my mouth after eating or after waking up with my friends thinking that I must've eaten a whole onion or something. And Bangkok is a city famous for its street food. You just can't go to sleep with your mouth reeking of barbeque and other wonderful noms, right? I was also invited by my Thai blogger friend to join her and other Thai bloggers for a 6pm event during my stay in Bangkok. My friends and I left the hotel after lunch and went mall-hopping until 6pm. It was kinda surprising that my breath and mouth still felt clean. At first, it feels funny to use Gum Alive Toothpaste since it has an herb-y taste as compared to the usual toothpaste that we are using at home. But after that initial phase, one gets used to the taste because it really makes the mouth feels fresh. It is also a habit for me to brush my tongue so what I noticed was that the toothpaste seem to wake up my taste buds and leaves a fresh clean feeling on my tongue. Another thing that I like about Gum Alive is that it has cloves. Clove is a spice that has an anti-bacterial properties that is used to treat toothaches. I know this because I have an herbal medicine book. And even if the Gum Alive Toothpaste that I used was given as a product review, my family (including my husband and daughter) agreed that we liked it better than our old toothpaste. It may be a bit expensive but the "mouth spa" freshness feeling is worth it. Not to mention it doesn't have that list of chemicals that we don't really know if it can harm our health or not. We are definitely ordering this toothpaste once our tube ran out.